When riding in the backseat means balancing on all furry fours, this sporty hammock’s got you covered. 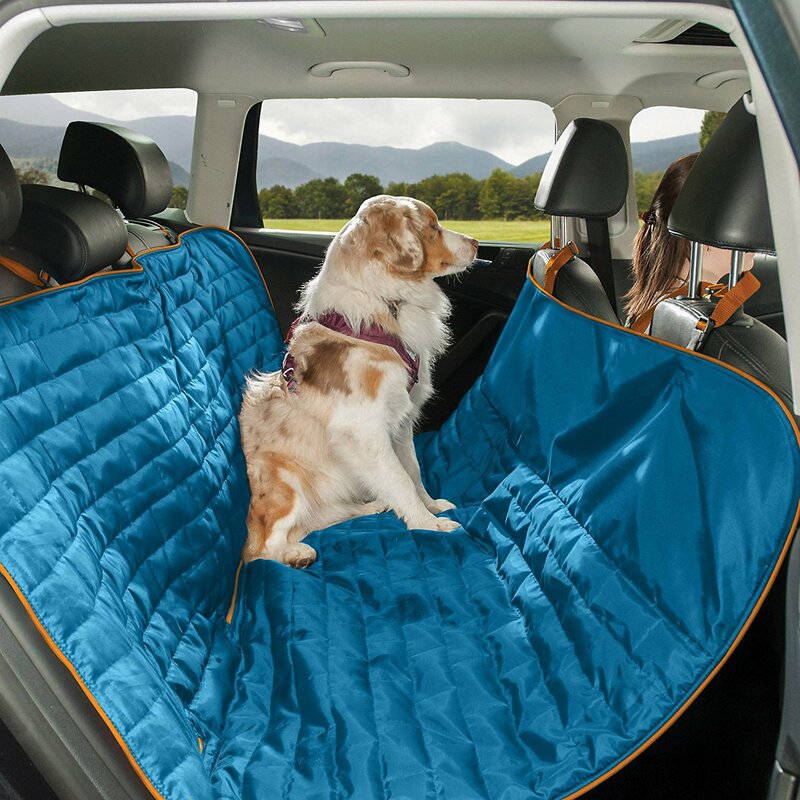 It serves triple duty, keeping your pup safe and off the floor, and the dirt that comes with the pup off your seats. The Ripstop fabric is comfortable on long rides, yet durable for everyday use. Five sturdy attachment points make it a great fit for any vehicle; pack it all down into its own soft-shell carry case to easily transport if needed. Designed to be used in vehicles with bench seats. Five sturdy attachment points make it a great fit for any vehicle. Pack it all down into its own soft-shell carry case to easily transport if needed. Can be used as a hammock, or remove the front attachments to create a car seat cover. Ideal for any situation. Designed to be used in vehicles with bench seats under the dog hammock. Do not use with bucket seats or over an open space without a bench seat. Please measure the width of the seating area of your bench seat (from left to right) to know whether the cover might fit. Hi there! I'm curious about the "slipperiness" of this fabric. Is the nylon closer in texture to something like a puffy down jacket, or closer to, say, rip stop nylon hiking pants? The nylon of the Loft Dog Hammock is closer in texture to something like a puffy down jacket. How does the whole thing fold up? If you want to put people in the back seat without a dog, can the hammock quickly be detached and hung from the back of the front seats? The Loft Dog Hammock can be detached from all the headrests and folded up as you would a blanket and stored in the carry bag that comes with it. The headrest straps can be detached quite easily and it could be hung from just the front headrests or just the back headrests so that human passengers can ride comfortably in back seat. I have a 125lb. Great Dane and she loves it! I let the straps out as far as they would go to keep the strain off them. It lays flat on the back seat of my Lincoln MKZ and she can now ride in style with me without risking a tear in the leather seats.. I like the concept of this loft hammock, however my poor little fellows(small dogs) can not get a foot hold. They slide around when i drive. Would not get it again and I plan on returning it. Nice hammock lining. It won't hold my pound-hound in the back seat but the corgi is safe and secure. Very pleased with this purchase - hammock is easy to install and remove, fit well in my Nissan Versa and the pup loves it too. Excellent product! Super easy to clean & protects my car well. My dogs love it, they feel comfortable and secure. My Collie won't lay down when it isn't there. It is extremely easy to clean - just shake it and hair and dirt slides right off. The material allows the air conditioning to flow through and keep my dogs cool. Only one problem and it's from normal wear and tear is the attachment of the webbed straps that go around the headrest tear after a year or so of use. I am going to protect the straps on my new one from sun damage that weakened the webbing. I just bought my second one after almost 2 years of use with big dogs. I made sure I bought the same one as before because I love it so much. We bring our large pit along when we travel, and we needed a hammock that could fit both my hubs' Honda Civic and my 2-door VW Golf. The Kurgo Hammock is easy to move back and forth between our cars, and very easy to adjust. She did slip a little due to the ripstop fabric, but we layered some blankets under the hammock so she could have some texture (like the Martian landscape, I suppose), and this stopped the slipping. I love how it folds up and comes with carrying case. Haven't needed to wash it yet--so far it just shakes out. Really glad I bought it! Easy to install in my Venza. Keeps the seats clean. 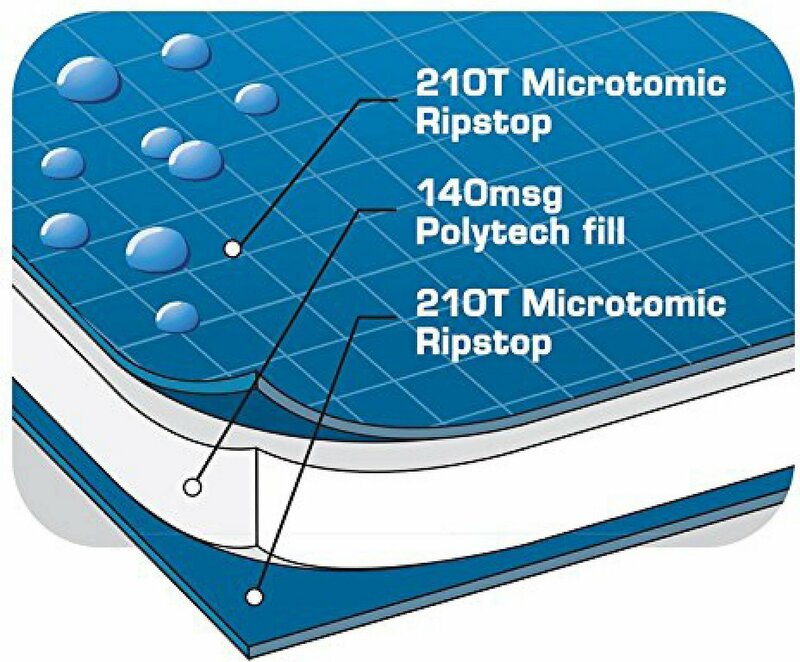 Ripstop fabric surface shakes off easily to keep it clean, as opposed to other materials to which dirt and hair cling. Colors are bright and happy. Seems well made. Time will tell. Happy with my purchase! I have a 90lb German shepherd and this cover lasted 72 hours. He could not support him as he wiggles around in the backseat. It ripped at the point where the handle attaches (the one what would cover the drivers headrest). If you have a calmer dog I imagine it would be great. Not advised for active large breeds.